No. 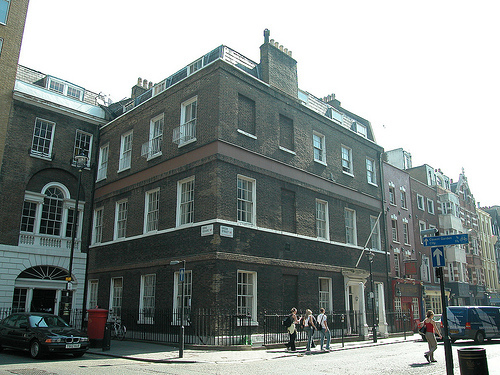 1 Greek Street is the site of St Barnabas House, which was built in 1746 as part of a speculative development and stood empty for eight years until Richard Beckford took it over (his brother William Beckford, the Lord Mayor of London lived a few doors away at 22 Soho Square). In under three months the house was completed and boasts what is said to one of the finest English rococo-style interiors in London. In 1811, it became the offices of the Westminster Commissioner for Works for Sewers. This is where chief engineer Sir Joseph Bazalgette started to work on the construction of the London sewage system. By 1862 the house was taken over by The House of Charity, which was established in 1846 to provide temporary accommodation for homeless people. Charles Dickens used the house and gardens as a model for the London lodgings of Dr Manette and Lucy in A Tale of Two Cities. I have advised on its decoration for a number of years. 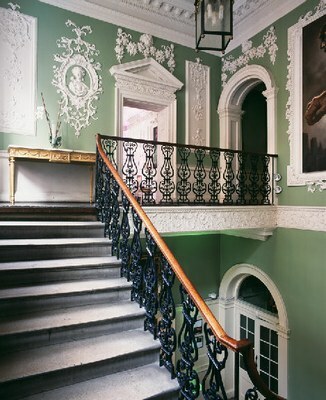 The first project was the repainting of the staircase.